The music department exists primarily to provide an outstanding academic music education to students. Secondly, it exists to provide an inclusive, varied and aspirational extra curricular music programme across the whole school. Through these provisions students have the opportunity to develop musically, socially and academically in a welcoming and inclusive environment. The department’s dedicated building provides specialised rehearsal spaces for a variety of musical ensembles and a fully equipped recording studio. Using the latest technology and software, students can learn recording, arranging and composing skills. Students undertake a balanced programme of activities that allows all to succeed. As part of their studies, all students will have the chance to play instruments and sing regularly. They will listen to a wide array of musical styles and compose and perform music relating to their current topic. There is a wide range of musical material, recordings, computers, instruments and recording equipment available to enable pupils to build upon their own interests, abilities and tastes in music whilst encouraging them to discover new fields of music. At KS3 all student have two 40-minute lessons every week. Music is a subject in which students’ ability varies quite significantly. As such all KS3 classes are not set but taught in form groups and tasks are differentiated accordingly. Student will compose two pieces, one to a brief set by the exam board and one set by the student. Students have access to composition software and may compose in a broad variety of styles. Students will also make two recorded performances, one as a solo and the other within an ensemble. Students can perform on any approved instrument (including turntabling and beatboxing). Students should be working on at least grade 3(ABRSM) or equivalent at the start of the course. I have thoroughly enjoyed taking music for A-Level. It is a challenging but extremely rewarding subject. Whilst the department is naturally small, the nature of the course leads to this being advantageous, allowing for a focus on the individual, which is important for aspects such as composition. The skillset that I have acquired from further study has been invaluable and I believe that even if I wasn't studying music at university, the skills I have learnt would have been beneficial to my applications anyway, due to the confidence and dedication it has taught me. RGS students are able to have lessons in a wide variety of instruments in school. Lessons are with professional musicians who visit for one or two days a week. Timetables are rotated weekly in order that a student does not miss the same academic lesson each week. 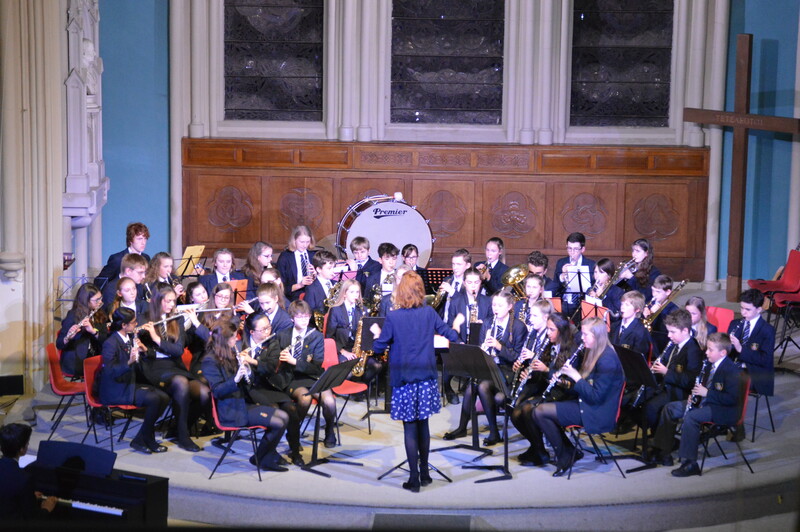 Ripon Grammar school hosts a very busy music department that frequently demonstrates a high standard of performances in concerts, local competitions, Music for Youth festivals and on foreign tours. The music department runs regular practices and supports a wide range of music groups catering for many styles and abilities, including several choirs, chamber ensembles, big band, orchestra, and jazz group. Students are regularly examined in performance certificate and diplomas by the Associated Board of the Royal Schools of Music, Trinity/Guildhall and Rock School. Many RGS students take part in the Ripon Young Musicians and Harrogate Competitive Festivals and are often winners in their categories. Students have held positions in cathedral choirs, National Youth Choir and The National Youth Orchestra of Great Britain, and have been awarded choral scholarships to Oxbridge and London colleges. Music provides students with a huge skill set that can be applied to many different career paths. Many students have gone on to study music at music colleges and Russell Group universities. In addition, students who have studied music up to A level have gone on to careers in teaching, medicine, law and finance, to name a few.